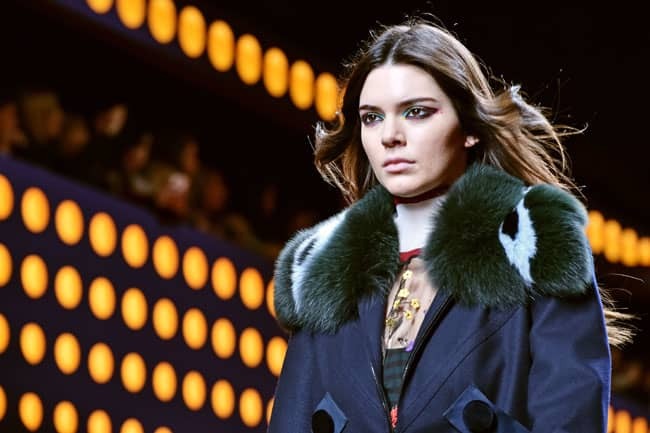 Kendall Jenner is star of the Fendi show at Milan Fashion Week | HELLO! Kendall Jenner took a break after walking the runways at New York Fashion Week, giving London shows a miss. 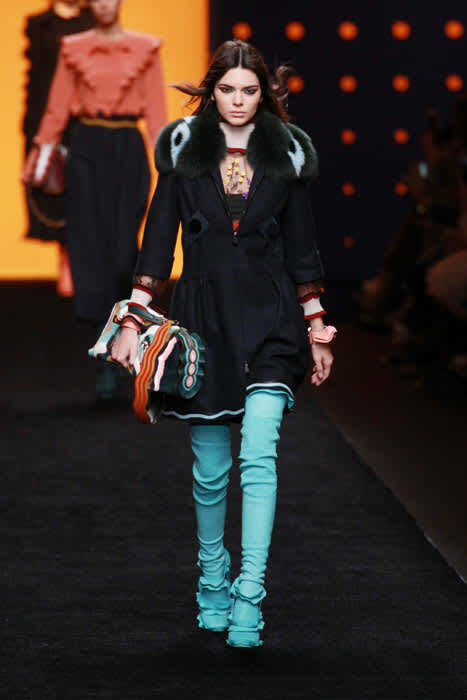 But she made her return to the catwalk on Thursday, opening the Fendi show at Milan Fashion Week. The supermodel looked incredible as she stepped out, rocking a statement pair of pastel blue leather thigh-high boots. It's no surprise Kendall walked for Fendi – the brand's creative director is Karl Lagerfeld, also at the helm of Chanel, who has long been a fan of Kendall's. He also has a great relationship with her mother Kris, who attends most of the Chanel shows to watch her daughter strut her stuff. Kendall didn't walk in any shows in London, but she did visit Madame Tussauds to check out her brand new waxwork figure. Causing slight confusion, the model posed alongside her waxy doppelganger as the special Madame Tussauds fashion week experience opened.